Optimal transport has become a vibrant research area in mathematics, at the interface of analysis, probability and geometry. In recent years there have been several new developments with applications to diverse fields such as economics, image analysis, mathematical finance, and quantum mechanics. The conference brings together researchers in optimal transport, from all over the world, to present new results, exchange ideas and to foster future collaborations. Another important goal is to expose young researchers and Ph.D. students to the most recent developments in this area. Friday 6 March is devoted to “Computational Optimal Transport and its Applications" and organized by Gabriel Peyré (Paris Dauphine) and Martin Rumpf (Bonn). 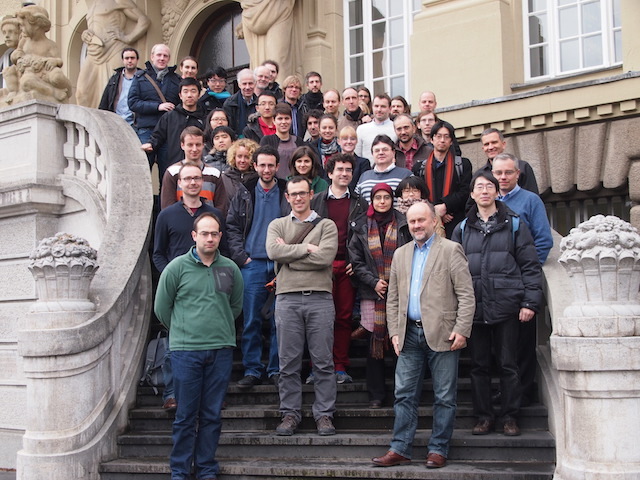 The conference takes place during the Junior Hausdorff Trimester Program on Optimal Transportation, which will be held at the Hausdorff Institute for Mathematics during January-April 2015.